Getting into the habit of budgeting, or even working out a new budget, does not go without a pinch. This is especially harder at the beginning of the year, but with the right tools and attitude you will be well on your way to a stress-free financial journey. A full tank of petrol can go a long way and last you a little longer than usual if used wisely. Spend less time on the road driving and where possible, opt to take a walk rather than a “quick, short drive”. Walk your way to saving by lessening your car trips – you get a free exercise too! An increase on your salary does not necessarily mean more spending money. Budget your increase smartly and save the extra cash to bring you added relief during the months to come. Saving becomes easier when you have a set goal to motivate you. Start the new year off on a good income and saving note, record your saving goals and work towards them monthly. The start of a new year could be the push you need to bridge the debt gap. Why not ease the financial pressure for the rest of the year by tackling your debts early? Getting your debts out of the way will fast track your way to seeing more money in your “piggy bank”. It is essential to know your spending pattern – keep record of your monthly expenses and eliminate things you don’t need from your grocery list. 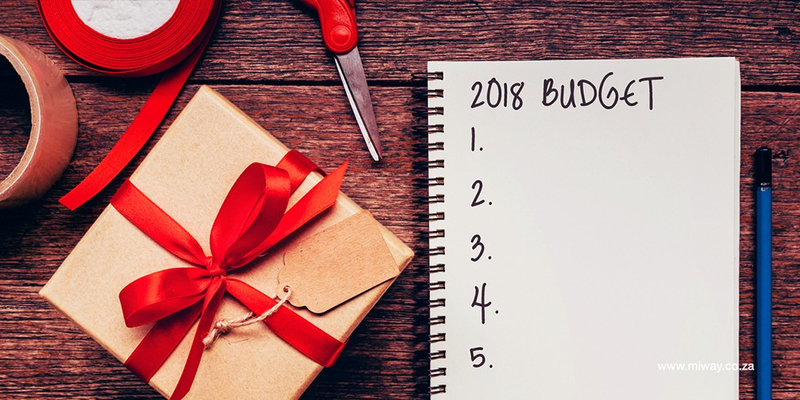 Set a budget and stick to it! Budgeting can be tricky, whether you’re a beginner or have some experience under your belt. Equip yourself by getting the right budget skills and knowledge for your needs. You can do this online, search for templates, blogs or even videos that will assist you. Financial knowledge is key. Life happens, often when you least expect. Create a separate savings stash for those rainy days through the year. This way, you won’t need to tap into your main savings account every time you need to attend to emergencies. Whatever is not used through the year will give you the added boost for the next. Having a good budgeting system in place is as important as having insurance for your valuables. Ensure that your insurance premiums are always up to date to protect yourself from the financial stress should you find yourself in an unfortunate predicament with your car or home.